Explainer : Is The FIR Against Rakesh Asthana Invalid Because It Is Based On A Lapsed Provision? 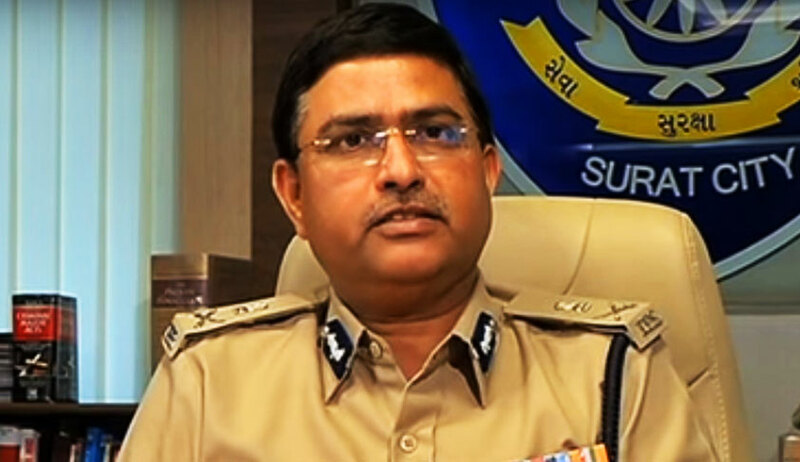 The CBI is caught up in high drama as its No.2 official Rakesh Asthana has been named in an FIR in relation to a corruption case. As soon as the details of FIR got public, social media got abuzz with comments that the FIR was unsustainable as it was registered for an offence which is no longer in existence now – Section 13(1)(d) of the Prevention of Corruption Act,1988, which punishes criminal misconduct by a public servant. This provision is no longer in the Act, as it was substituted with a wholly different provision as per the amendment act passed by Parliament in July 2018. It has been commented that “this means the FIR against Mr.Asthana is not legally valid and can be quashed”. Let us examine the merits of this argument. It is pertinent to note that the allegations in FIR relate back to events which took place in December 2017, when Section 13(1)(d) of the PC Act was in force. So, at the time of the alleged acts, the offence was very much in existence. There is no legal bar in launching investigation after the repeal of an offence with respect to acts which were committed prior to the repeal. The principle that criminal law should not be retrospectively applied is not attracted here, because at the time of commission of the act, it was an offence. A reading of Article 20(1) of the Constitution makes this clear. It says : “No person shall be convicted of any offence except for violation of the law in force at the time of the commission of the act charged as an offence..”. The bar under Article 20(1) is only against punishing a person for an act which was not an offence at the time of its commission. A conjoint reading of Sections 6(c),(d) and (e) will make it clear that the repeal of a provision will not affect any liability already incurred under it, and will not affect any punishment incurred under it, and that any investigation or legal proceeding can be instituted even after the repeal with respect to the liability, and the punishment can be enforced as if the repeal had not taken place, unless a contrary intention is expressed in the repealing Act. The impact of this provision was considered by a three judges’ bench of Supreme Court in 1954 in State of Punjab vs Mohar Singh. Mohar Singh was prosecuted and punished under a 1948 Ordinance promulgated under the Government of India Act 1935, which pertained to raising false claim as a refugee from East Pakistan. The issue before the Court was whether Mohar Singh could be punished as per proceedings initiated after the repeal of the Ordinance by a following re-enactment. Holding that Section 6 of the General Clauses Act will apply, the SC held that Mohar Singh could be punished under the Ordinance, even after its repeal. Also, omission, insertion, substitution etc. have been recognized as different forms of repeal as per Section 6A of the General Clauses Act. So, Section 6 of the General Clauses Act will apply in cases of express repeal and also implied repeal by way of omission, substitution etc. However, the Supreme Court had created some confusion as per its decision in General Finance Company & Anr. v. Assistant Commissioner of Income Tax, Punjab, by holding that Section 6 will apply only in cases of ‘repeal’ and not ‘omission’. There, the Court refused to sustain penalty under Section 276DD of the Income Tax, which was imposed after the omission of the section by later amendment. The Court held that Section 6 of General Clauses Act was not applicable, as the Section was not repealed, by omitted. “In the Income Tax Act, S.276DD stood omitted from the Act but not repealed and hence a prosecution could not have been launched or continued by invoking S.6 of the General Clauses Act after its omission”, held the Court, by relying on observations in two precedents- Rayala Corporation (P) Ltd. v. Director of Enforcement, New Delhi & Kolhapur Canesugar Works Ltd. & Anr. v. Union of India & Ors., - that Section 6 is applicable only to “repeal” and not “omissions”. But this view was held to be without legal basis by the SC in Fibre Boards vs Commissioner of Income Tax Bangalore. In Fibre Boards it was held that the view that Section 6 is applicable only to “repeals” and not “omissions” was “per incuriam”, as it was against Section 6A of the General Clauses Act and also the Constitution Bench decision in Tulloch case(supra), which held that repeal can be implied through omission, substitution etc. This means that it is inconsequential whether the repeal is made expressly, or impliedly through omission, substitution etc. So, Section 6 of General Clauses Act will be applicable to Section 13(1)(d) of PC Act for the acts committed before its substitution by 2018 amendment. Also, it is to be noted that the FIR against Asthana is registered for several offences, and not under Section 13(1)(d) alone. The counsel for the CBI informed the Delhi High Court yesterday that IPC offences under Sections 388 and 389 (extortion), 467 and 468 (forgery), and 471 (forgery of electronic record) are also added in the FIR. So, the argument that the FIR against Asthana will not be sustainalbe for including a lapsed provision lacks merits.